In the Regency splendour of Angel House in Brunswick Terrace in Brighton, the 15th Brighton Early Music Festival was launched with music from Fresh Ayre (mezzo-soprano Nancy Cole and lutenist Wezi Elliott) and an introduction to the festival from co-directors Deborah Roberts and Clare Norburn. The festival runs from 28 October to 13 November 2016 and takes as its theme Nature and Science: observation, discovery, invention, creation. Deborah Roberts pointed out that the exciting period at the end of the 17th century, when there was an explosion in scientific thought, had a similar explosion in musical activity which saw the development of the modern orchestra and the birth of opera. The festival has always striven to create events which are a bit more than a concert and this year's programme is no different. Two key events have, in different ways, strong theatrical elements to them. Clare Norburn has written her fifth concert play Galileo and the festival is giving a modern twist to intermedi, inspired by the Florentine Intermedi of 1589 which they staged a few years ago, and this year is presenting Gaia - three intermedi for a living planet. Clare Norburn's Galileo will feature musical performances from the Marian Consort (director Rory McCleery) and the Monteverdi String Band. 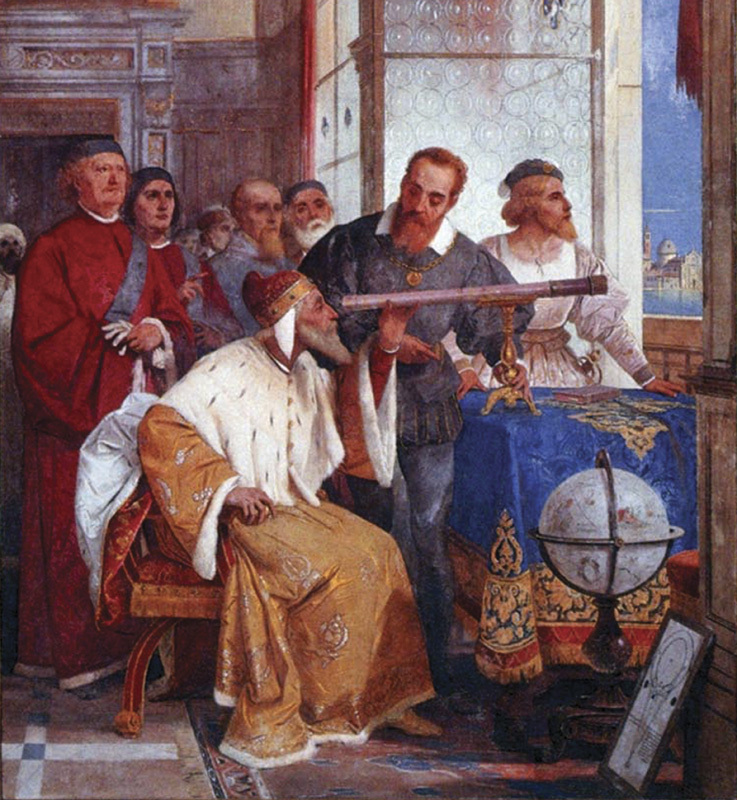 The scientist Galileo might seem a strange subject for a musical play until you realise that he came from a musical family, his father, brother and son were all musicians. Galileo's father did important practical studies into pitch and string tension, and these practical experiments may have influenced the young Galileo. Before him, scientists were essentially philosophers, but he was the first practical scientist turning from abstract thought to physical experiment. The music will all be works which Galileo could have heard, including some by his father. Gaia, devised and directed by Deborah Roberts, is very much a modern take on the 16th century intermedi. Full of music and spectacle, Gaiai will use a combination of film, music, lighting and dance to look at the physical world and how it has been perceived through the ages. The earth's core will feature in films of volcanos and Brumel's Earthquake Mass, but there will also be music for the underworld from Monteverdi's L'Orfeo. Similarly the earth's crust will use film of the natural world, but move on to music for the gods which people believed inhabited the natural world. The skies will move from bird song to the idea of the heavens, ending with Gabrieli's Regina Coeli. Performers will include the BREMF Consort of Voices (director Deborah Roberts), the BREMF Community Choir (director Andrew Robinson), Onde Sonore, the Lacock Scholars (director Greg Skidmore) and the English Cornett and Sackbut Ensemble. Other concerts exploring the festival's theme include L'Avventura London, director Zak Ozmo, with soprano Grace Davidson, looking at the work of Athanasius Kircher (1602-1680) a 17th century German polymath whose subjects ranged from music to Egyptology. This was a period when music was regarded as one of the sciences, and Kircher even tried to notate birdsong. The programme will use contemporary music to illustrate chapters from Kircher's writings. Ensemble Moliere will be using music by Marais, Rameau and Forqueray to take us into a 17th century French hospital. Fairest Isle and Foulest Weather features the BREMF Players, the BREMF Singers and soloists Penelope Appleyard, Angela Hicks, Edward Edgcumbe, james Way and James Newby conducted by John Hancorn in music from Locke's The Tempest plus music by Purcell. Sound House - Francis Bacon and the Nature of Sound is an exploration by the Society of Strange and Ancient Instruments into Francis Bacon's experiments with sound. Guts and Glory will present Spiritato in music for five natural trumpets! Dr Dee's Daughter and the Philosopher's Stone will pair the recorder consort Palisander with Rust & Stardust puppets for a family-friendly show. But BREMF is more than just a series of concerts and events. As part of their education programme, two secondary schools will be coming to see Galileo and working on their own response to the piece in music and drama to be performed in December. Early Music Live, the festival's young artist programme, is 10 years old this year. The festival auditions every year and the four or five performers and ensembles selected are given a showcase concert in the festival. Promoters are invited to these, and last year's artists got a total of around 20 engagements out of it. And it is not just for three weeks, the festival nurtures the artists in a year-long programme and many return to perform in subsequent festivals. We finished with some music, Fresh Ayre (Nancy Cole and Wezi Elliott) performed songs by John Dowland and Robert Johnson, along with lute solos by Robert Johnson's father, and Galileo's father and brother. Fresh Ayre is taking part in this year's BREMF Early Music Live so there is a chance to hear them at the festival. Full information from the BREMF website.